We all arrived safely to the Outer Banks. Cobra patrol made a fine hot dog and hamburger dinner. Boys are flying kites and enjoying time around camp. All are excited to swim in the ocean tomorrow . Day 1 winding down with a beautiful star lit night. Day 2 started with some PT insisted by Nathan K. Lots of beach time !! Great dinner prepared by older boys. Lasagna yummy!! A little buggy tonight so boys turning in earlier. Overall a great scout day. Heading to Jockeys Ridge and Kitty Hawk kites and shops tomorrow . Well the boys just finished cobbler. 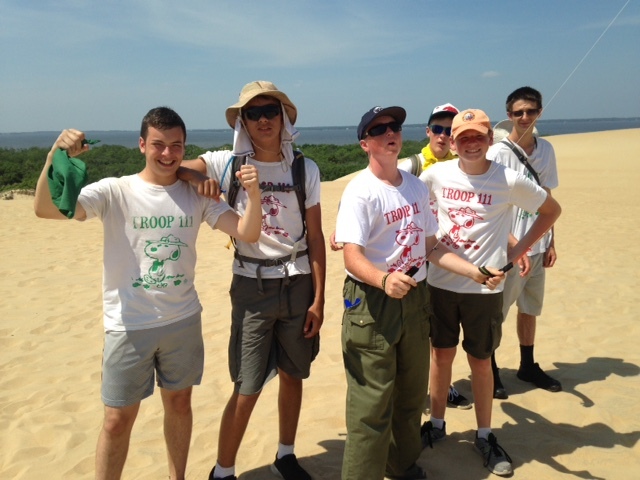 Today we weathered the heat advisory on Jockey Ridge ( a very large sand dune) . Boys enjoyed flying kites purchased at Kitty Hawk kites. The troop spent sometime here shopping around, eating ice cream , and staying out of the sun. Good news no bugs at this point, however lots of wind, like 15-30mph is my best guess. The boys helped out a family in need with setting up and securing tent in the very windy conditions . Troop 111 to the rescue! Your boys are doing well and continue to develop as a team. Well I am going to sign off until tomorrow. We plan a beach day and much leisure time. Well today we woke up to rain, but it passed and we made it to the beach for a swim and even some boys did PT on the beach. They had an opportunity to be sugar cookies is they were involved. Afternoon treat of ice cream sandwiches. 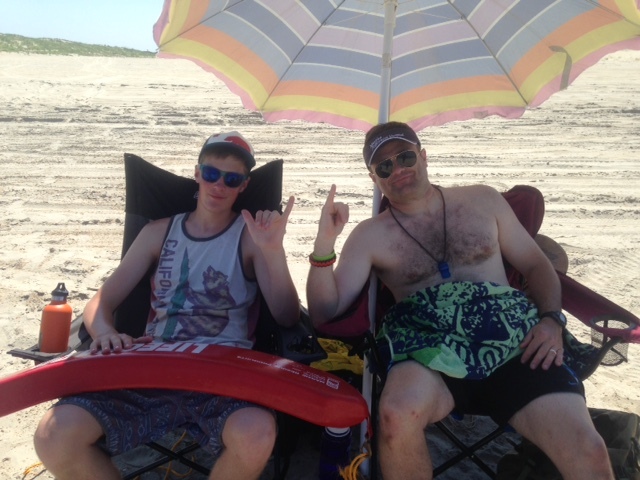 Some had a second round of beach time and others had free time around camp. Currently we are sitting vehicles waiting a rain storm with thunder and lightning. The day started off at Jeanette’s Pier fishing. We did not have a successful day, but talking with others this week has not been a good fishing week. Later boys went to the beach to swim followed by a dinner of fried chicken, hush puppies, watermelon, and fruit cocktail. Followed by funnel cakes, all prepared by adults and KP done by boys. Great team work! Your boys continue to do well and weather the various challenges. Tomorrow boys are expressing interest in more beach time by Jeanette’s pier. They want a change of scenery, hmmmmm. Well I will sign out for now from my van in OBX , waiting the storm to pass. Well we made it through a tough night of stormy weather. Due to 4am wake up call for hazardous weather protocol (go to cars), boys slept to 0800. After breakfast we spent the afternoon at the aquarium on Roanoke Island . On our way driving through Manteo we had some of the finest ice cream at a local shop. We got a scout deal and in fact the owner went to FUMA. Good times! Boys managed one more beach swim, followed by chicken kabobs and fruit for diner. Troop gear is packed and plan is to rise at 0600, final load, church services , and hit the road at 0800. Overall the boys have had a fun filled adventure and have continued to grow as patrols. We look forward to our safe return with many great memories. Here is the summer schedule. This includes all the weekly meetings in the summer months, June through August. All meetings will run 6:30-8:00 unless otherwise noted. 23rd: Beach Trip: No meeting. 21st: Summer Camp: No meeting. 28th: Exothermic/ Endothermic Ice Cream. Cost – somewhere around $90, given the length of the trip. 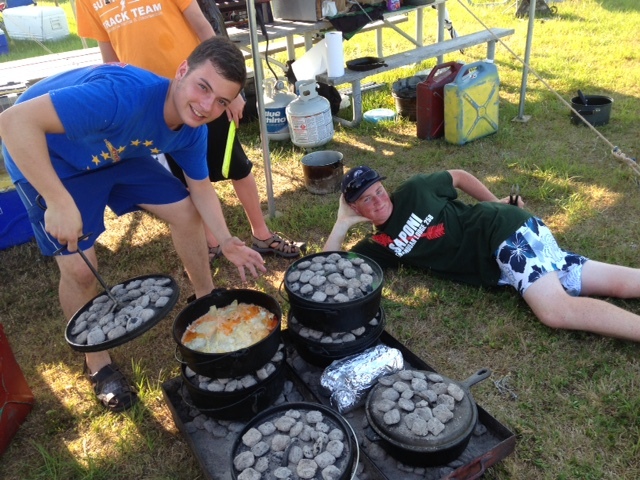 Drew is working on costs associated with backpacker “add water” only meals. Not only are they lighter and consume less space, but also provide many options for dinner. More to come on this front. 1. Identify drivers for drop-off. Need transportation on Sunday, 7/5 for 12 people plus packs. One driver will be needed on either 7/7 or 7/8. Will also need to store resupply gear and consumables. Where to resupply – there are a couple options. Need transportation on Sunday, 7/11 for 12 people plus packs. Person able to coordinate/communicate between persons on the trail crew and parents at home. Just in case something unexpected occurs. All scouts and adults who participate on this trip must have a current Part A, B, and C on file. Part C requires signature of clinician. Need drivers to get us there and back please contact Matt Carroll if you can drive one or both ways. Shake down is Tuesday July 14, all boys first class and below need to come prepared and packed. There is no lunch served at camp on the 19th nor will we be stopping so come having had lunch or with a bag lunch. If you bring a bag lunch make sure it is ok to eat in the car of the driver you are riding with or wait until we get to camp. Family night is Friday 7/24 parents please arrive no earlier than 4pm. No pets, check in at camp HQ when arrive to receive arm band. Also on parents night there are multiple options for dinner often camp does an order for pizza (Dominos), Camp provides a nice meal for the boys that meal tickets can be purchased for visiting families or families can bring a picnic dinner. If someone would like to coordinate it I think a troop picnic/pot luck would be an awesome solution, we have a camp fire and some good cooks if someone is interested in coordinating such an event that would be a great option for all. If you are interested in coordinating such an event please let me know. For more information about Merit Badges please consult the Camp Shenandoah Program guide. The August 28-30 canoe trip on the James River. We will be camping at Buckingham. The cost for the trip is $46.00. The permission slip and money are due no later than the end of the troop meeting on August 18th. There are only 24 seats reserved for this canoe trip, so get your money and permission slip in as soon as possible!! !